We will learn how to apply and layer coloured pencil to achieve the luminous petals of a light pink Dahlia. How to blend and burnish the colours giving it a painterly look and so much more. 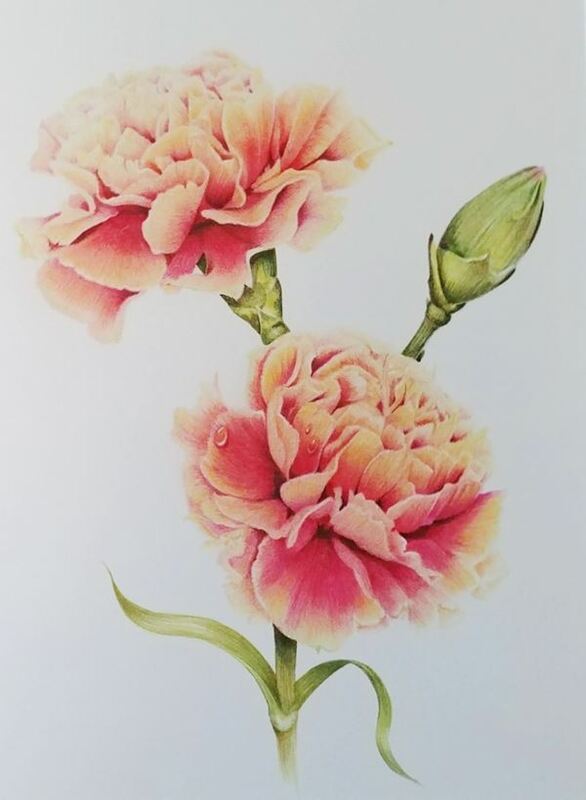 I'm a self taught artist and have learned the art of watercolouring, coloured pencil, pastel and graphite through reading books, watching videos, and lots of hours practicing the techniques I have acquired. I strive to produce realism in my paintings and drawings. Inspired by my parents, who are both artists, I have painted since an early age. I started drawing professionally in 1990, selling pastel portraits of children. It was during that time I discovered watercolours. I fell in love with the medium and was able to achieve the vibrant colours and details I longed to paint. Recently I have fallen in love again, this time with the coloured pencil and graphite mediums.